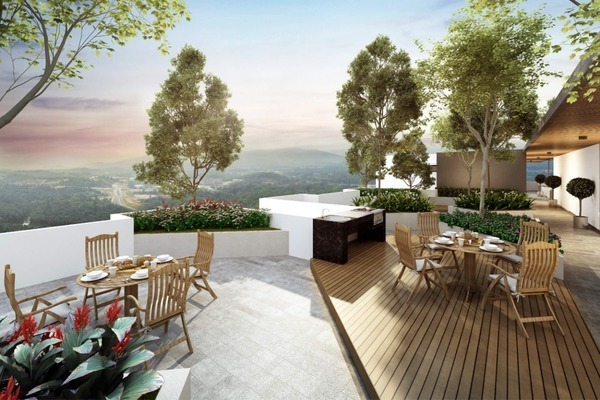 Midlands City is the debut project of Midlands City Sdn Bhd, a fresh face in the property scene. 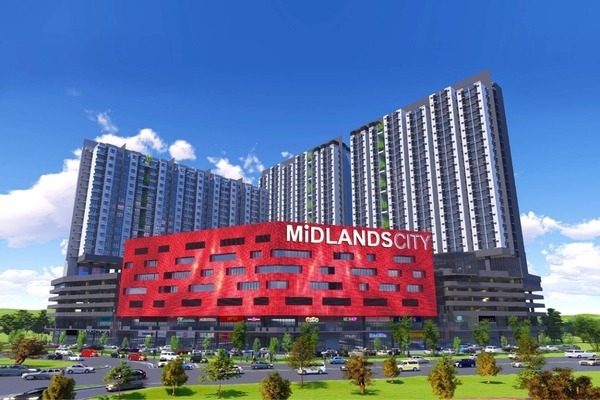 Incorporated under the Wira Syukur Group, Midlands City leverages on the latter’s track record in the building and civil infrastructure segments, joining the ranks of construction players who have made the leap into property. The project itself comprises three phases, with the first phase featuring 772 SoHo (small office/home office) units in two 21-floor towers, as well as 224 serviced apartments in a 14-storey tower. 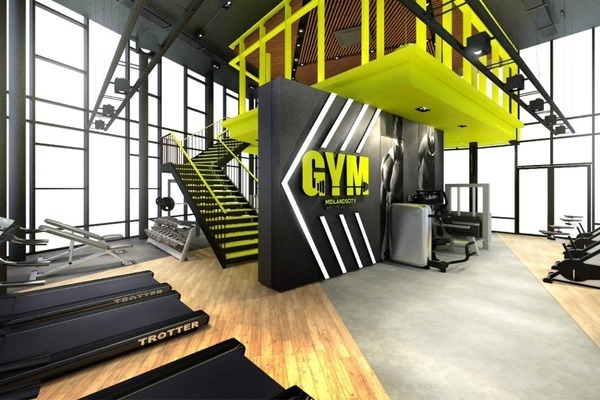 The developer’s early approach focused on its SoHo components, with a soft-launch in July 2018. Midlands City is envisioned as a complete, self-sustaining development with residential and retail components complemented by an education centre and a planned private specialist hospital, linked by an overhead bridge. 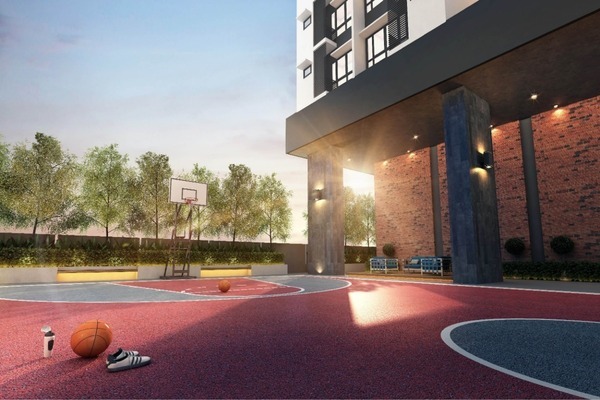 The development’s SoHo blocks offer two single-bedroom layouts with built-up areas of 450 sq ft, with prices ranging from RM283,800 to RM328,800, or roughly RM630 psf, which is relatively affordable for purchasers closer to the city but less so for properties in the area. 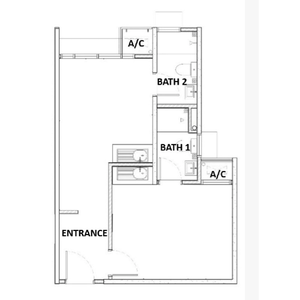 As of November 2018, these SoHo units had seen approximately 40% uptake. The developer has designed its SoHo units with dual-key functionality in mind. Two 450-sq ft units can be paired into a single larger 900-sq ft unit, delivering greater versatility and rental prospects for purchasers and investors, given the sizeable student population in the University of Nottingham just 800m away, as well as Midlands City’s own integrated education centre. 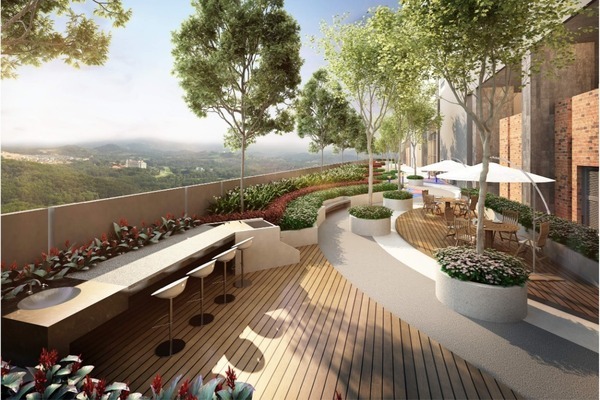 The first phase’s residential blocks sit on a seven-storey retail and carpark podium, with the development as a whole sprawled on 22 freehold acres off Jalan Broga in Semenyih, Selangor. 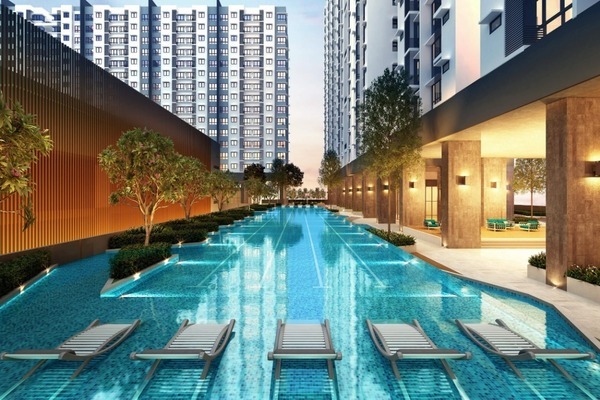 As such, it capitalises on the amenities and pull factors of the rapidly-maturing town, which has drawn industry heavyweights such as Eco World Development Group Bhd and SP Setia Bhd to the area. Internally, Midlands City incorporates a variety of facilities, including a swimming and shallow pool, jacuzzi, spa bed, gymnasium and rooftop garden, as well as tai chi and yoga decks. In line with the developer’s vision of creating a self-sustaining community, Midlands City’s retail components are projected to comprise 70 units on its ground, first and second floor, with a tenant mix emphasising F&B operators, along with complementary services such as grocery stores, laundrettes and hair salons. Some retail units will be retained by the developer for better positioning of tenant mix, as well as long-term rental income. Meanwhile, there is a proposed private specialist hospital located adjacent to the development, tentatively slated to include 300 beds, which is seen as a major catalyst for the project. Generating 1,500 employment opportunities for the area, its medical services will enhance the prospects of both home and retail spaces in Midlands City. Acknowledging existing concerns in the area, it has also incorporated multiple levels of security into Midlands City’s design, including features such as guard house monitoring, lift lobby access control, a CCTV system and 24-hour guard patrols. In addition, the project itself is surrounded by anti-climb perimeter fencing, with particular attention paid to lighting in common areas as a deterrent. Phase One of Midlands City, comprising 5.8 acres with a gross development value of RM420 mil, is projected for completion in Q1 2021. The second and third phases of the project are currently in the planning phase, with composition to be advised depending on prevailing market conditions. With PropSocial, everyone can now find their dream home. Looking to buy, sell or rent a home of Midlands City? Fill in your details and we will get right back to you! This feature is not available on smaller screen size, please browse this on desktop. Type in property name and select from the dropdown list.